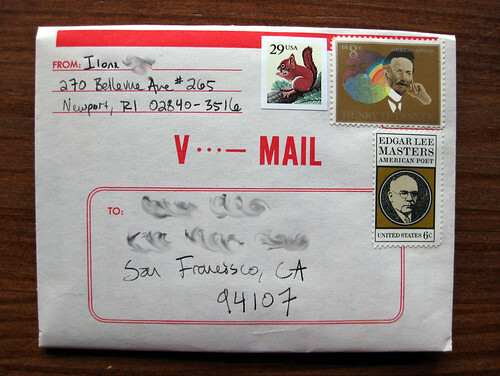 V-mails are basically WWII-era fold-and-mail postalette type things. They were created as a means to get letters from home efficiently to soldiers overseas. Someday (one of my famous somedays) I will photograph the inside, too - they are very neat. And they still make great letter-writing stationery, with that vintage flair, and take fountain pen ink well. 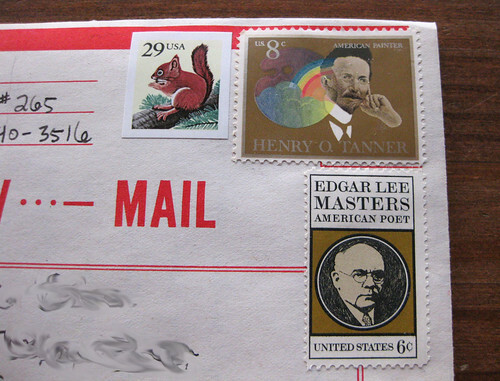 And I love to use vintage stamps on 'em. I can't believe my luck!! Send me some gmail stickers already!